HissTank › HissTank Community › Custom Satin And Her Dolls From The Pyramid of Darkness By Ian! 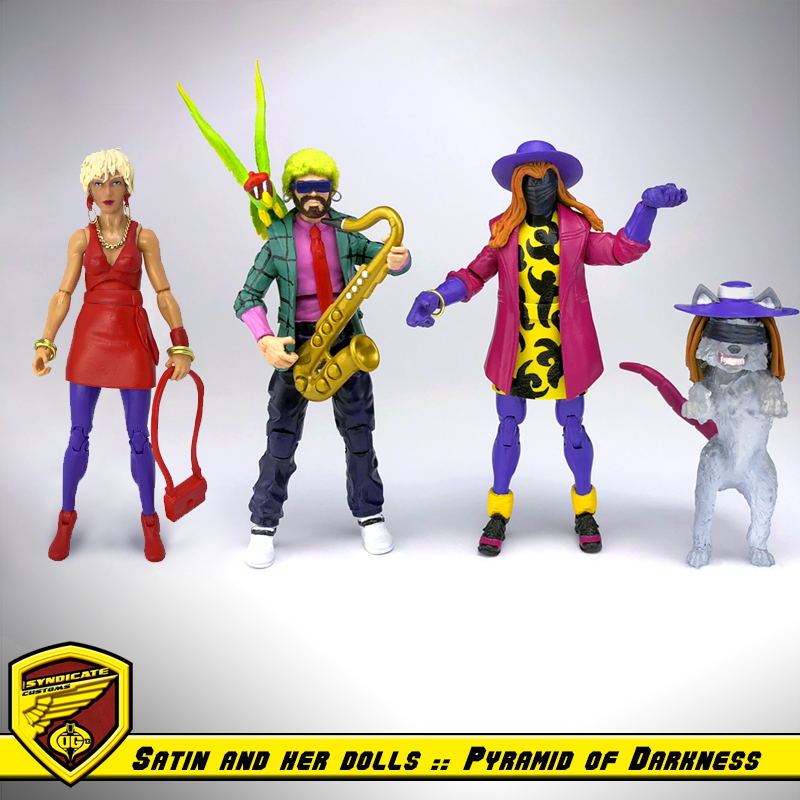 Custom Satin And Her Dolls From The Pyramid of Darkness By Ian! Unreal! The goofy scene to help Shipwreck and Snake Eyes escape Cobra by lounge singer Satin is captured wonderfully by HissTank member Ian. Satin and her dolls! This completes the band, hope you liked this project. This one is photoshopped for sure LOL. Just kidding of course. These look so amazing. Great work on all these. I would by this set in a heart beat. How about Satins vehicle next? Wow - these are impressive in how clean and factory like they turned out. Love how you managed perfect scale jewelry. Thanks for sharing! Wow, this looks great. All of the sudden I feel cheated we never got a Snake Eyes in drag. Great customs Ian, well deserving of Front Page status. Yes, yes, YES a million times over!! !